Joseph Campbell, in The Hero With a Thousand Faces, says; “Having responded to his own call, and continuing to follow courageously as the consequences unfold, the hero finds all the forces of the unconscious at his side. Mother Nature herself supports the mighty task” (p. 59). I am forever moved by story. And Joseph Campbell says that all great stories are great because of the mythical truths they contain. Story is imprinted on our hearts and in our bones. Man has been seeking the ultimate story since we evolved to talk. Before that, I’m sure our cavemen ancestors acted out stories by grunting and moving their limbs and bodies to retell the day’s hunt. Stories are imprinted on our hearts in our mother’s womb. The universe imprints these stories then the world slowly drowns them out over time. The farther we allow the world to pull us away from our imprinted stories, the more troubled, depressed, and anxious we become. We focus on the insignificant noise of the world and we forget our imprinted stories. We search for happiness and fulfillment in our jobs, our families, our religions, and our possessions. Not surprisingly, these all fall short in leading us back to our original authentic imprinted stories. No matter how hard we try to ignore them, the stories that were imprinted on our hearts in our mother’s womb can never be silenced. We can run to the ends of the earth, busy ourselves every minute of every day, or even be swallowed by a whale; our original authentic imprinted stories will still whisper to us when we least expect it. We ignore them time and again but they continue to resurface until we are finally ready to answer the call. Every story you subscribe to as “your” story that isn’t your authentic story will still leave you empty in the end. Subscribing to another’s story doesn’t suffice. Claiming another’s story as your own only leads to destruction–religion is a perfect example of that. When people first subscribe to a new religion, they feel a sense of relief–of finally finding “their” story–but as time goes by the original authentic story imprinted on their heart in their mother’s womb call to them again. After building a life out of everyone else’s stories, the thought of unearthing our own story feels terrifying and lonely. Sometimes living with the evil–or good–you know feels easier than embarking on your own journey of discovery. What does your heart say now? Set your phone down for two minutes, turn off any music that’s adding noise to your space, and just listen. It’s ever so faint but it’s there if you genuinely want to hear. I offer you this space now to hear your original authentic story imprinted on your heart. If you didn’t, don’t give up. Sometimes the noise in your life is so loud you may have to listen several times before your story reveals itself. Sometimes we have to undo some of our preprogramming we unwittingly accepted as children. 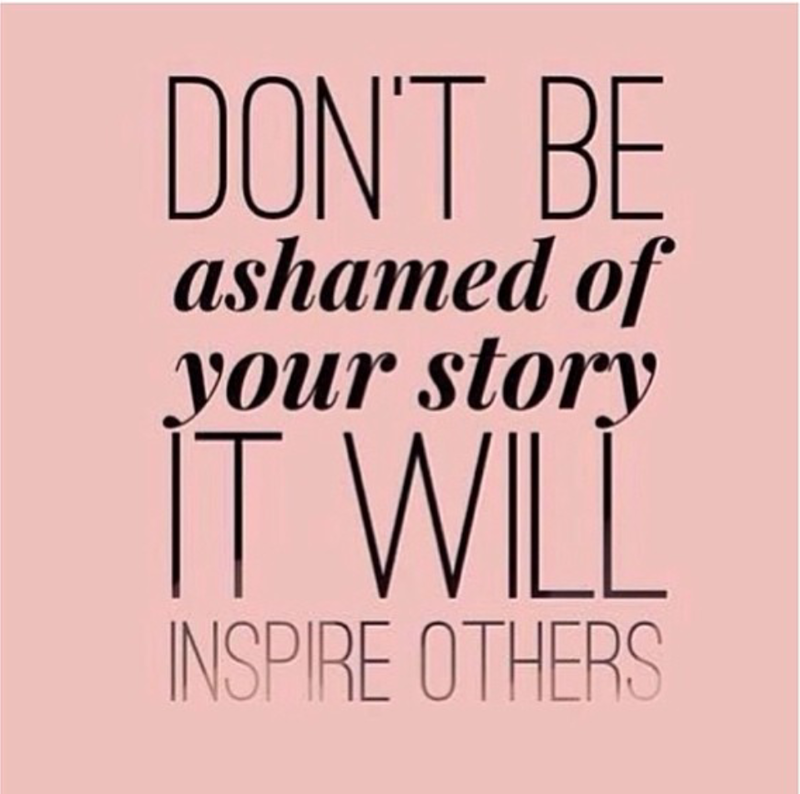 Sometimes our stories are buried under layers of shame, wounds, agreements, secrets, or other’s agendas. As we carefully peel away these layers, our hearing and vision improves. We faintly hear our stories and see with our own eyes where we might have veered off course. Each new layer we shed gives us another clue to our true selves–our original authentic story imprinted on our heart. Throughout the process, people will continually tell you their version of your story. Thank them for their concern but remember this: Question Everything and adamantly and unapologetically trust yourself! Only you can hear your original authentic story. It was only given to you: not your parents, not your teachers, not your pastors, not your Rabbis, not your Priests, not your Popes, not your Prophets, not your Holy books, not your friends, not your enemies, and not your spouse. The story imprinted on your heart in your mother’s womb is yours and yours alone. Unearth it, discover it, then tell the world about it. The world needs more people who are willing to answer the hero’s call and live out their authentic story. There is great power in your story that can benefit the entire planet. Hear it, claim it, live it, share it! Previous What Women Want: A Side Note. 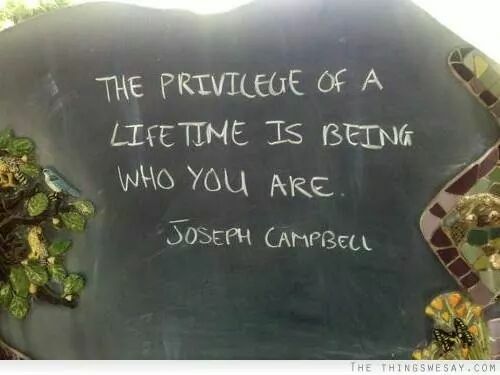 beautiful ending Travis, am into Joseph Campbell too! Thanks Adrien!! I appreciate your positive feedback! Nice to meet you too!